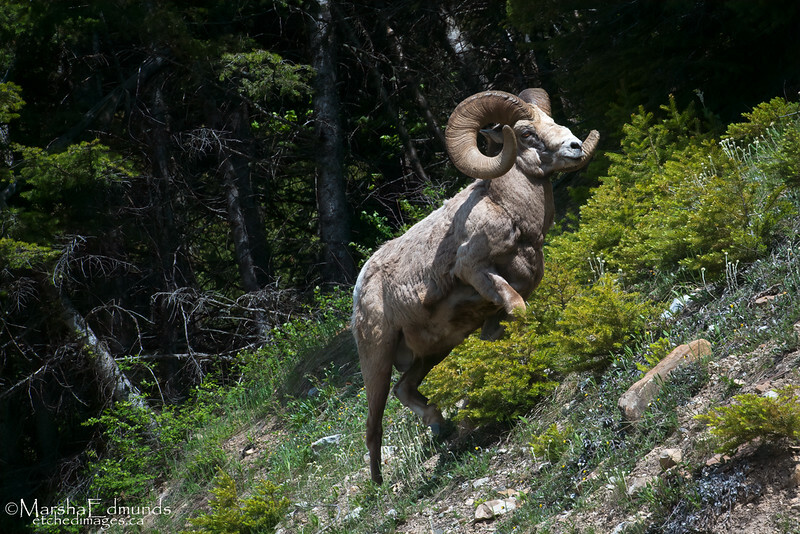 This was the senior of four rams that were together on a slope in Waterton National Park in the spring. He threw is weight around lunging while lowering his head presenting his horns, challenging others from his path. He had a powerful build with face scarred and impressive horns broomed from skirmishes - a fine specimen.